The Aria Amazon cruise operates out of Nauta, Peru or Iquitos, Peru, depending on itinerary and water levels. The Iquitos airport is called Coronel FAP Francisco Secada Vignetta International Airport– IQT. To get to the Peruvian Amazon, you cannot fly direct internationally to Iquitos airport. Instead you must first take an international flight to Lima, Peru (Jorge Chavez International Airport– LIM) and from there you can then take a domestic flight to Iquitos. To get to Nauta, you must fly to Iquitos and travel 1.5 hours by car. North American visitors will depart from New York, Miami, Los Angeles, Houston, Atlanta, Toronto, and Mexico – these cities all offer direct flights to Lima. Air Canada flies direct to Lima from Toronto, the flight is 8 hours long, with no time change. Flying direct to Lima from the US ranges between a 6-9 hour flight, depending where you depart from. The airlines that fly direct to Lima are: American Airlines, United, Delta, LAN, Air Canada and Avianca. Travelers from Europe who are planning an Amazon trip will find that direct flights to Lima are available from a number of cities: Paris, Amsterdam, London and Madrid. Flights with connections are also available at these locales. KLM flies 12 hours direct to Lima from Amsterdam, while Air France will take you from Paris. Madrid operates with Iberia, LAN and Air Europa. Once you've reached Lima, there are three main airlines that fly to Iquitos, LATAM, Avianca and Peruvian Airlines. From Lima, the flight to Iquitos is 1 hour and 55 minutes. 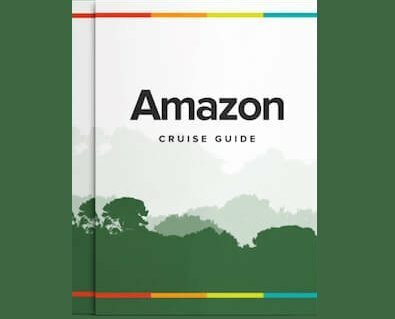 It's important to note that the Aria Amazon cruise has a set of recommended flights that best tie in with their cruise itineraries, ensuring the easy coordination of transfers for all their passengers in one go. Below you will find details of those recommended flights for the Aria Amazon cruise. It is important to note that the recommended flights between Lima and Iquitos often vary by individual departure, so please check first with your Travel Specialist before booking the flights specific to your cruise date. Approximate flight prices can be found below. Transfers to/from Iquitos airport (Coronel FAP Francisco Secada Vignetta International Airport– IQT) to the Aria Amazon cruise are included when booking the recommended flights. The total transfer time is approximately 20 minutes to Iquitos and 1.5 hours to Nauta. Transfer vehicle is an air-conditioned van.